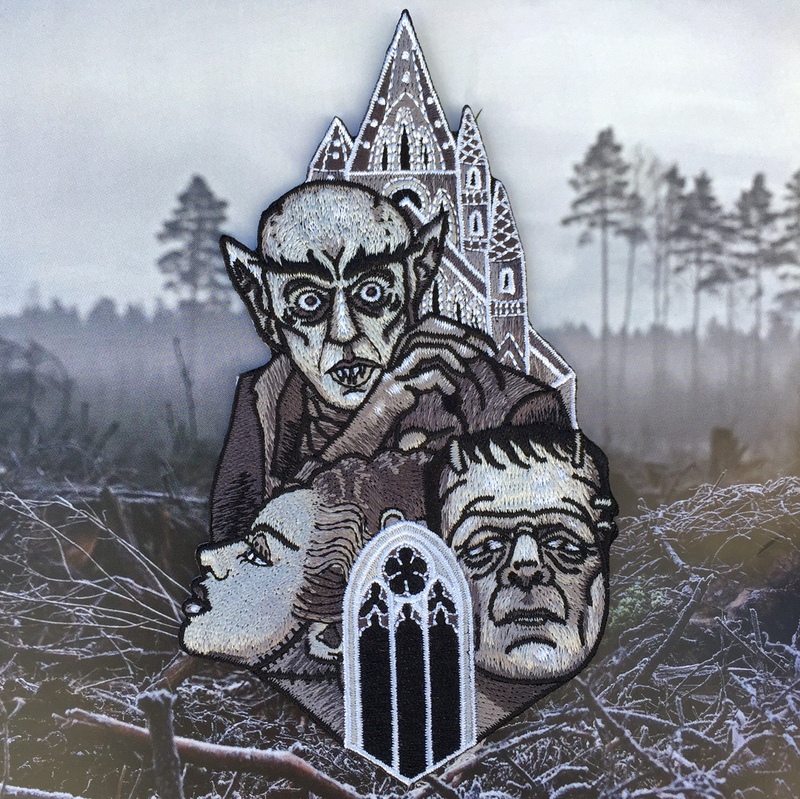 Highly detailed, at a little over 5" tall, this iron-on patch features classic monsters. 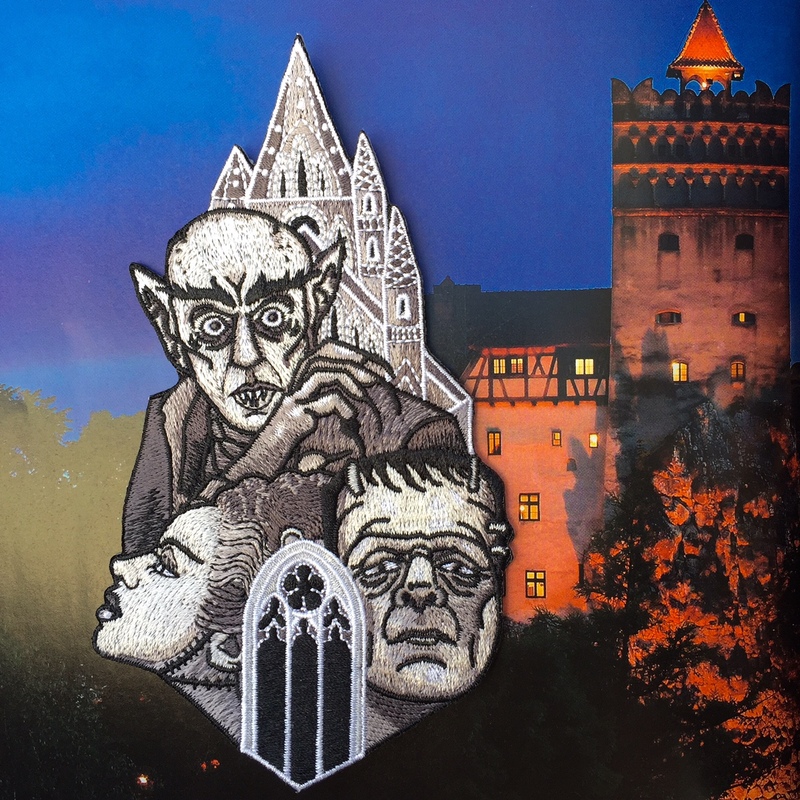 Frankenstein's Monster, The bride of Frankenstein, and of course Nosferatu! Combined with some gothic architecture to give it that creepy feel.